We Really Are What We Eat. Here’s Why – HEALTHY LIVING. We Really Are What We Eat. Here’s Why. At this point, most of us have a pretty good understanding that what we eat has a very large impact on our overall health. However, it’s not ever explained to us in simple terms as to why that is. As humans, not understanding something fully makes it very difficult to change our learned habits. Especially when it comes to our beloved food. Food is such an integral part of not only our personal lives, but of our social lives as well. So if w’re to change the whole scope of the world as we know it, we should at least have a solid grasp as to why. Because of this, we wanted to take the time to explain the simple science behind the importance of diet and the way food affects our bodies. And then let you continue on your hunt for health from here. In the simplest terms, the human body, like everything else in this world, is made up of cells. 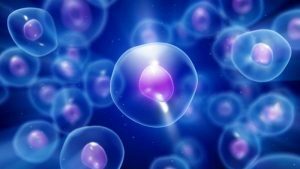 These cells can be thought of as the building blocks of life. They’re like microscopic Lego’s that are constantly regenerating and communicating with one another so as to function most optimally. 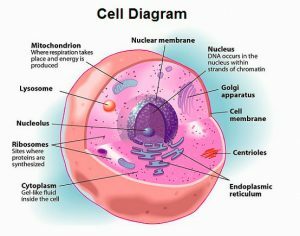 Cells are what carry energy throughout our bodies, giving us the capability to operate on every given level. And possibly most importantly, the inside of our cells hold and protect our DNA, which is what essentially makes us individuals. Now, as mentioned above, cells are constantly regenerating. As living organisms, they indeed die off and in turn, more are created. But what are these new cells created from? The nutrients that are found in “living” foods, (ie. foods that naturally come from the Earth, such as organic fruits and vegetables), are what keep cells healthy and whole. They also have the incredible ability to regenerate cells that may have been damaged from a nutrient-deficient diet. Being nutrient-deficient occurs when we eat too many “dead” foods, (ie. processed, sugary, fried and artificial foods). If our cells come into contact with these foods and poisons too often, they will become damage or can even die off. Cell damage is what leads to the majority of diseases we see today, including cancer. This is why eating living foods is so important to our overall health. We truly are what we eat. It’s all in the cells. Of course, as always, take this information and do your own continued research. Knowledge is the key to health.